We must have been doing a blistering pace today! Four of them – I claim 3 and Chris has one. Nothing spectacular but a discomfort we could do without. Blister kit has been deployed and resupply to see us through the week will RV with us on Day 4 at Steel Rigg (cheers Jim W). In hindsight I should have deployed the blister kit last night as I had a feeling my tender feet would be even more tender by end of play today. Four months of training and not a blister between us! When we set off from our farmhouse (Ironsign), it was overcast but dry, perfect walking weather. We had been told to expect rain in the afternoon but it just got sunnier and hotter throughout the day. We saw some wonderful scenery today but we know the best is yet to come with the hillier day 3 and day 4 legs. However today we started to pick up signs the Romans had been here with various bits of wall including some which had been relocated and turned into a house (neat trick!). We walked nearly all day on the ‘Barbarian’ side of the wall and not a blue painted warrior with a Mexican moustache in sight! A bit boggy in places though so our footwear took a pounding (along with our legs). My hips were sore after day 1 but OK today. Chris is OK. I attached some photos above. One is PLANETS Charity ‘silicone selfie’ on a real piece of the Wall. Another is a side angle of the same piece of wall. This is an interesting stretch as it represents a significant design change where the wall reduces from a 10 foot width to 8 foot and continues as 8 foot to the western most edge. The old ‘Time, Cost, Quality’ triangle springs to mind! What a piece of engineering this must have been in those days. 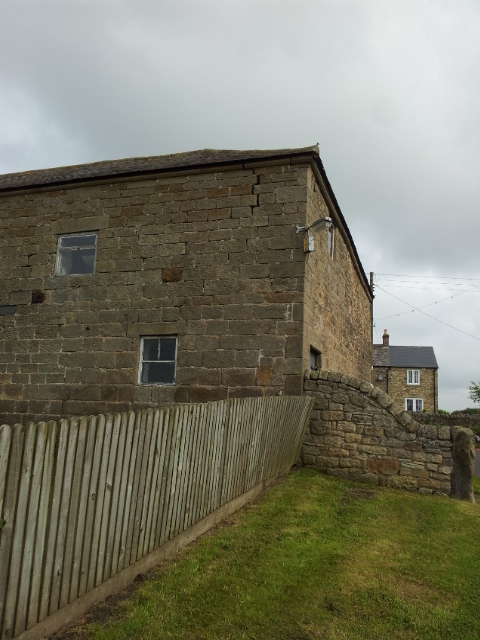 Also attached is a picture of a building mainly constructed from wall stones – an example of the desecration of the Wall before Mr John Clayton (powerful landowner) stopped it realising the historical significance was being destroyed. We meet up with Dave Taylor tonight and are very grateful to him for finding the time to walk with us on day 3. 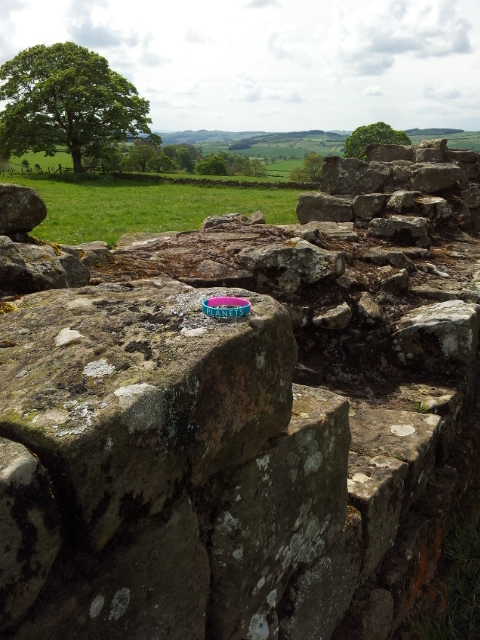 We will be covering some of the most spectacular scenery including the famous fort at Housesteads. Change of terrain too, a bit hillier! Well done guys. Thinking of you. Great stuff you two. Looking forward to walking with you on day three. 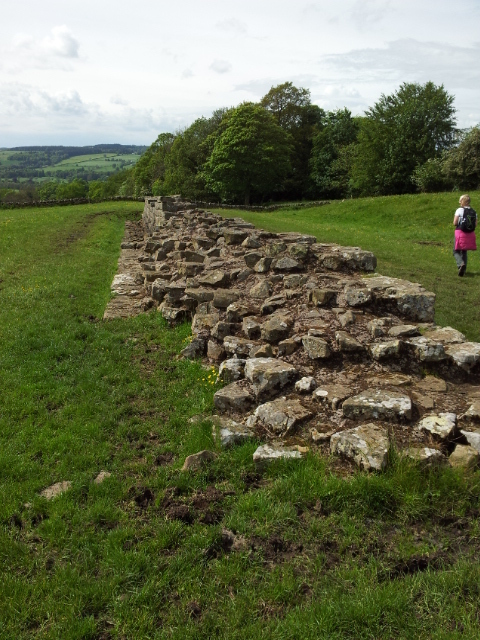 Next Next post: Hadrian’s Wall Day 3 – Spectacular but wet!